Certainly simple people living close to the land are vulnerable to hardships--black lung, train accidents, difficult pregnancies, and famine. But amidst familial affection, ties of religion, and farmland, there are darker suggestions, of "the things whiskey'll do to a man," the story of a husband poisoning his wife, and heartbreak--"the secret of betrayal simply this: / she was there one day, / and then she was not." This is a book of poems full of clues--clues more satisfying even than answers, since they point us toward the wilder regions of the complex human heart. Like a heady night in the rural South, these poems are sonorous, delicious, and dark--at once comforting and mysterious, wicked and sweet. Categories: Books and Poetry. 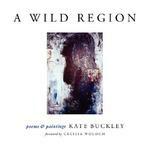 Poets: Kate Buckley.